What are the most common treatments options for migraine? This article covers the most popular, from pharmaceutical options to alternative treatments. Migraine is a condition associated with periods of moderate to severe head pain (in most cases), and also nausea, vomiting, and sensitivity to light and sound. Answers to some of the most common questions about migraine are answered in this article Is my migraine actually a migraine? Because of the debilitating nature of migraines for some people, having effective treatment and management options are extremely important. And its our fundamental belief that chiropractic care, especially upper cervical chiropractic procedures, are an important part of this management. This, together with inadequate evaluation of the patient’s condition, often lead to treatment failure. 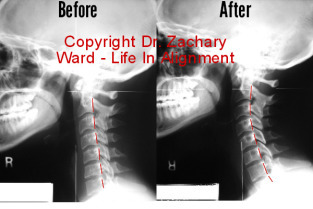 When this happens, the patient may be referred to a neurological headache specialist without being informed of the potential for help with upper cervical chiropractic procedures. This article covers the most common treatment options for migraine, including general chiropractic care. Medications for migraine are categorized as either acute or preventative in nature. Acute treatments are taken on an as-needed basis to abort or reduce the severity of the current migraine attack. Preventive treatment or prophylaxis, on the other hand, is taken daily to prevent or reduce the likelihood of upcoming headache episodes. Despite new advances in pharmacological management of migraine, many patients still do not respond positively. Some patients do not tolerate drug treatments, whether acute or preventive, due to side effects or the contraindications that the drug may have based on their other health problems. There are various manual approaches that have been found to provide migraine relief, including for patients who have failed to respond to traditional treatments. Clinical massage therapy is performed by physiotherapists, occupational therapists, and massage therapists. Muscles that are stressed and tensed contribute to the occurrence of migraines. Massage promotes circulation and relaxes the muscles. Increasing blood flow in these areas can help provide pain relief. Chiropractic care is defined as another type of complementary and alternative medicine (CAM) used for managing migraine and other chronic headaches. It involves manual adjustments of cervical spinal structures in the neck area to reduce the severity and frequency of migraine attacks. However, many migraine patients have found that not all chiropractic techniques are beneficial. It is important to find a chiropractor who understands migraine symptoms and employs gentle manipulation (chiropractic adjustments) of the neck. 3. Loder E, Weizenbaum E, Frishberg B, Silberstein S. Choosing wisely in headache medicine: The American Headache Society’s list of five things physicians and patients should question. Headache. 2013;53:1651–9. 4. Chaibi A, Tuchin PJ. Chiropractic spinal manipulative treatment of migraine headache of 40-year duration using Gonstead method: a case study. J Chiropr Med. 2011;10(3):189-93.